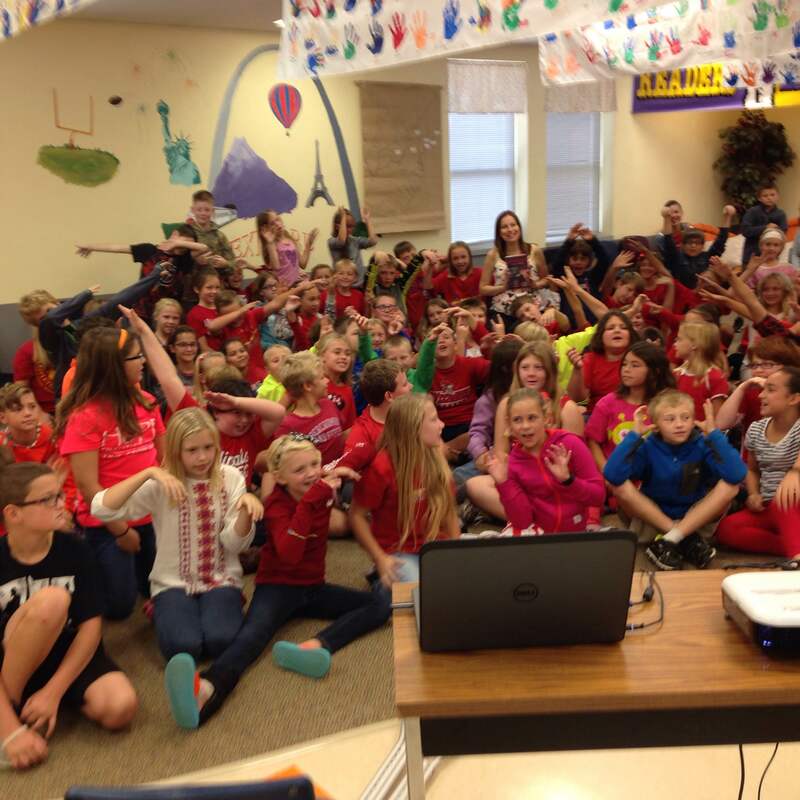 For the last few days, I have been speaking at local schools in southern Illinois – two days at Red Bud Elementary (fourth through seventh grades) and a day at Gardner Elementary in Waterloo (fourth and fifth grades). 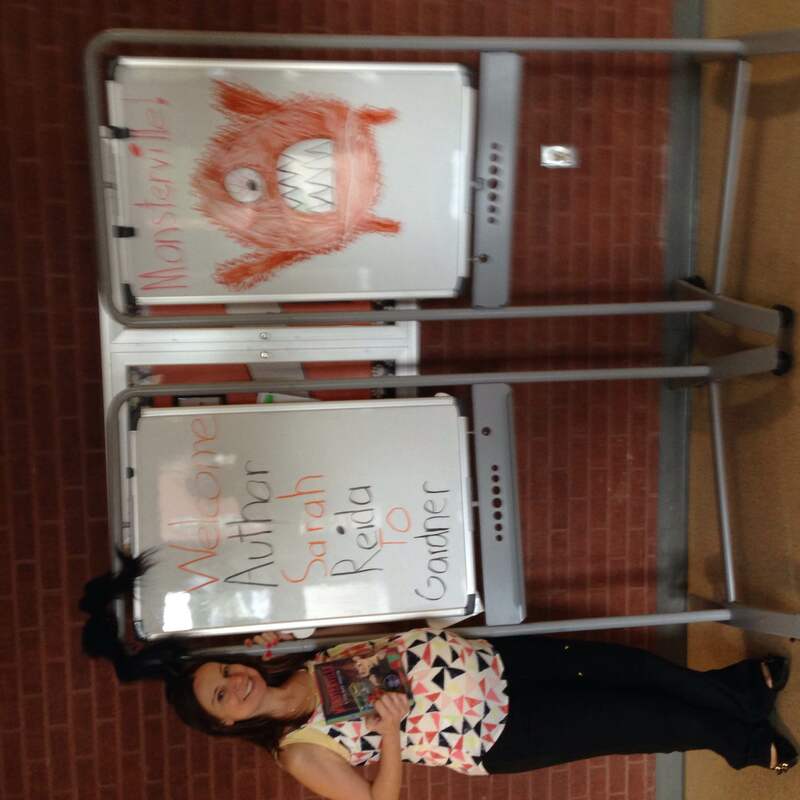 Speaking at Red Bud, Millstadt (scheduled for Monday) and Waterloo was very important to me – I based Monsterville on those towns, and I wanted to return to its roots for my book tour. I have to say, I was a little nervous. Even though I love public speaking (strange, I know), I was worried about the audience. I remember assemblies when I was a kid. I was bored a lot of the time. Being “talked at” for forty-five minutes is lame! 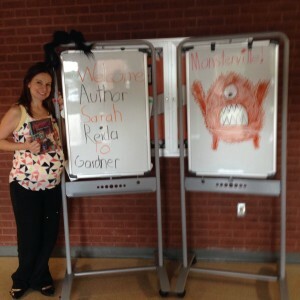 Also, I was discussing my debut book, Monsterville. These kids were exactly my target age range, so what if they hated the book? If they fidgeted, and talked, and stared at me with glazed-over expressions, it wouldn’t be their fault – it would be mine. To deal with potential boredom, I used a trick – pictures! I put together a PowerPoint presentation that covered my road to getting published, genres of books and examples, and plenty of photos of the places I used as inspiration for setting. 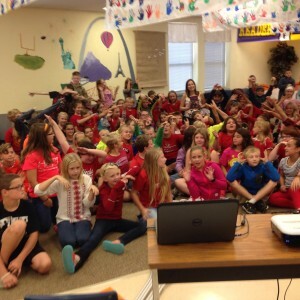 I was thrilled to see how interested the kids were, especially when I talked about the genres of books. (If kids liked a book I picked, they totally reacted! Also, I got to plug a few they might not have heard of otherwise). In Waterloo, I had a break in between the third and fourth sessions (that’s right – four sessions), and it was awesome to see kids searching for the books I recommended. (One kid grabbed Coraline, and another got Escape from Mr. Lemoncello’s Library). As someone who loves writing and reading so much, I hope the journey and advice I shared with these kids is something they’ll remember in a positive way. I’ve always wanted to be a writer, and there are a lot of things I wish I’d known when I was in grade school, like to not be afraid to show people what you’ve written (which makes getting judged and reviewed now all the more terrifying! ), that no one creates a masterpiece on the first try, and that the best way to deal with writer’s block is to read a book. I have learned that writing isn’t easy, but if you do the work and never give up, one day you might get to hold your published book in your hands! 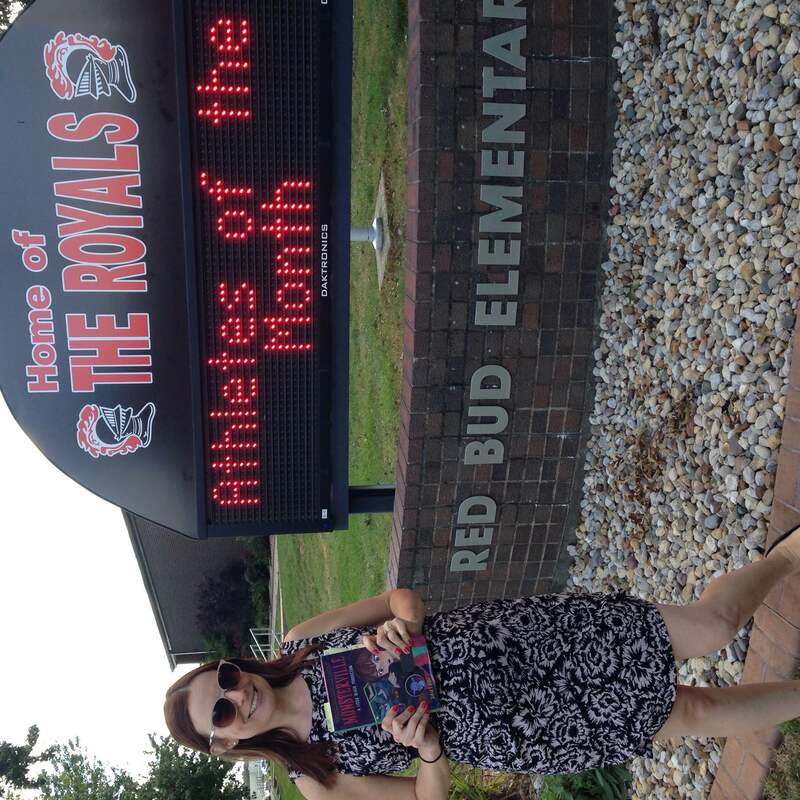 Thank you, Red Bud Elementary and Gardner Elementary in Waterloo, for being so gracious and giving me such a wonderful audience! The kids couldn’t have been better. (And if any aspiring writers have more questions for me, they can visit me at Pumpkin Blossom Hill in Red Bud from 1:00 PM to 4:00 PM on Saturday). 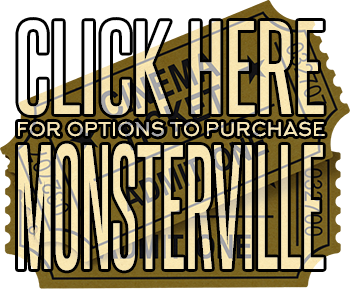 Also, they can email me at sarahsreida@gmail.com, and teachers can check out some fun film/Monsterville-themed English activities here. In a sea of Waterloo kids. Try to find me! 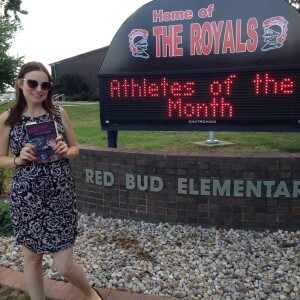 Red Bud Elementary – where my mom went to grade school!